• The large Laughing Buddha statue for sale is sitting on a big gold fish and is holding the lucky ingot of prosperity, is a symbol of good luck and abundant riches. 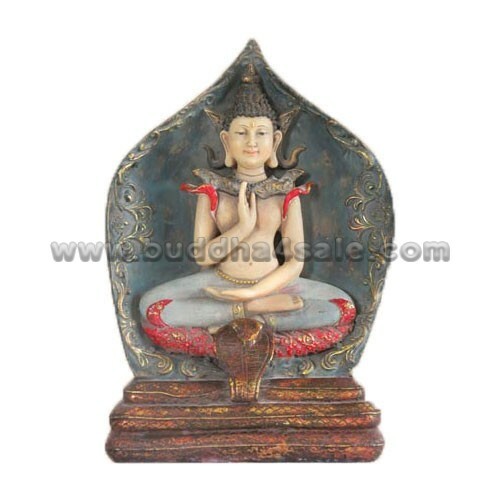 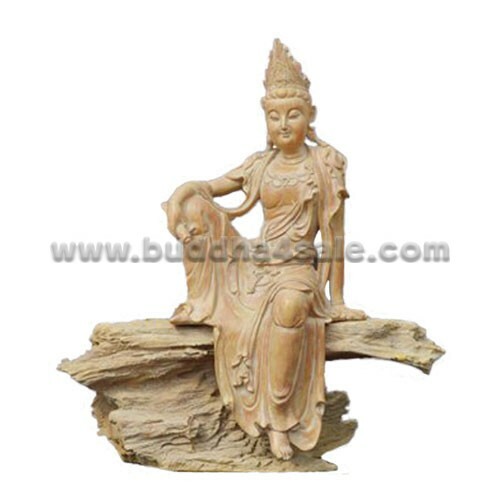 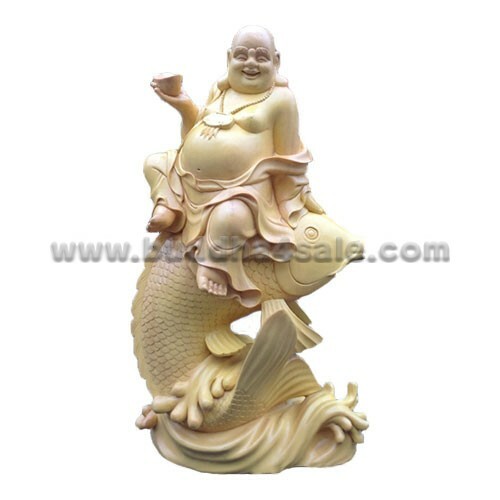 The Laughing Buddha is made of quality cypress, delicately carved and colored painting. 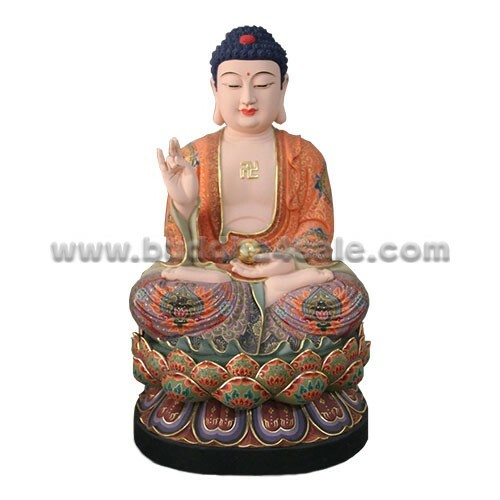 Believed to bring much luck, the laughing Buddha must always be invited into his new home, resulting in positive Chi and much happiness in return. 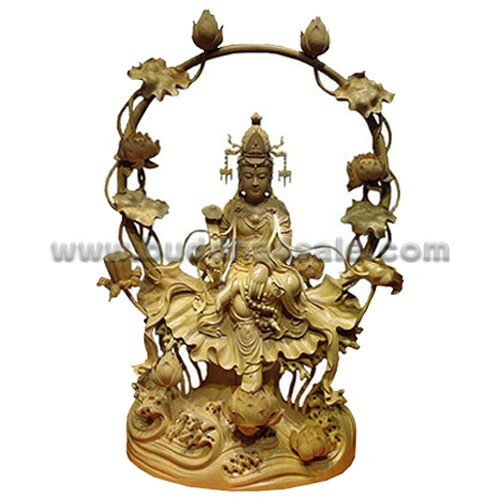 It’s a unique and thoughtful gift, traditionally given for new beginnings. 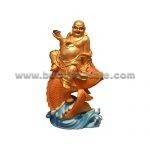 This Laughing Buddha also available in natural color and other one with a red gold fish.